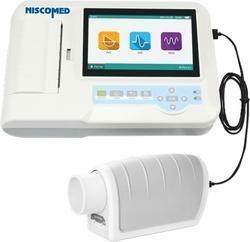 Our range of products include spirometer with printer , model no:-sp-100 and medical spirometer model : sp-10. Type Of Equipment exmine lung fuction related parameters for patients. 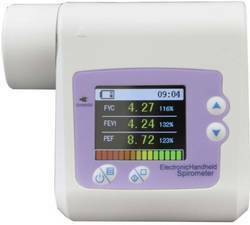 SP100 Spirometer is a portable lung function testing device, which mainly used to examine lung function parameters for patients. It can be appalied to various environments such as in hospitals, clinics, etc. And it is also suitable for communities, schools, factories and other places to conduct epidemiological investigation, health examination , occupational disease screenings. Built-in lithium battey, supports both of AC and DC.